Mendeley is a free citation management system that helps you locate, organize and store bibliographic data. Mendeley works with web browsers, a web "bookmarklet" to grab citation details from websites and a desktop application. 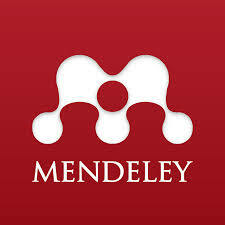 Mendeley integrates with Microsoft Office Word (and potentially other word processing systems) to assist you, while you are writing research papers, manuscripts and grant proposals, in inserting in-text citations and generating the resulting reference lists. Your Mendeley database can be organized into folders and there are robust sharing and social networking capabilities. One of the truly amazing features of Mendeley is its ability to extract bibliographic data from PDFs that you import into your Mendeley desktop application. If you have already saved PDFs on your computer, this is the easiest way of getting those citation details into Mendeley: drag and drop the PDFs into Mendeley and the system will search for the bibliographic details and add that content to your database. Mendeley allows you to store up to 2 GB of data. If you need more storage space or want to access additional capabilities, more capacity is available with a personal subscription. NOTE: You will need to correct your citations for capitalization within your Mendeley Desktop, corresponding to the APA 6th rules on capitalization. Mendeley does not automatically change article titles to "sentence case" capitalization. Mendeley has many excellent tutorials and guides available on at the Mendeley training website (http://community.mendeley.com/guides/videos). If you are interested in using Mendeley to its fullest, spend some time with these detailed tutorials and guides so that you can become aware of all the ways in which Mendeley can assist with making your research continuum more efficient -- a process that starts with your initial research and concludes with citation formatting within your final research projects.